Floorings Singapore: What Is The Best Flooring Material For Condos In Singapore? In order to improve the looks of their apartment or condos many people use various flooring materials in Singapore. Brief information about the flooring materials used in this country for decorating condos is provided here under to help you, if you are planning for it. Most of the Singaporeans use these options for this purpose due to lots of their features and benefits. 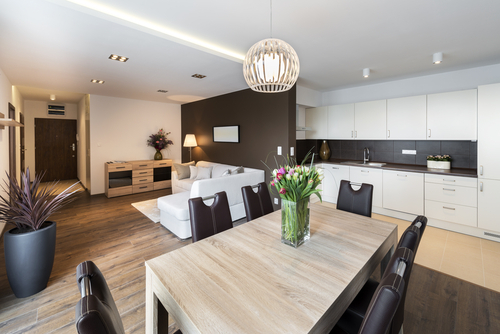 You can choose the best option for your condo by considering important features and comparing their benefits of them all. The laminate flooring is commonly used in Singapore to decorate condos due to its durability and versatility. It is normally used for this purpose for its glossy surface which helps in improving the overall appearance of a condo by providing it a stylish and shiny look. Most of the Singaporeans install laminate flooring in their condos for this very reason but some people do not find it suitable for them as it produces noise while walking on it. So you should choose it for your condo carefully. 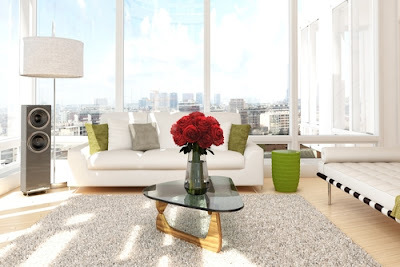 If you want to decorate your condo with the simplest flooring option then a carpet can be the best one. Carpets are preferred for this purpose as they require no expertise to install them. At present various types of carpets, depending upon the quality of their materials and workmanship, are used in Singapore for decorating condos. You can choose from them according to your requirements and budget. Though they are easy to install but to maintain their elegance and looks you will have to care for them by vacuuming them regularly. The cork flooring is also recommended for condos in Singapore as it provides sustainable flooring to the owner. It is getting popular these days as it has no negative effect on the users in the tropical environment of this country. It provides safe and friendly environment to the Singaporean condo owners. The cork floor is available in various great designs, patterns and styles these days from which you can choose the best one for decorating the floor of your condo. You can install it easily without needing any expertise. The real wood flooring is also preferred by many Singaporeans these days for decorating their condos. Most of them use this flooring material to improve the appearance of their entire unit along with increasing the strength of its structure. Though wooden floor has a number of benefits like beautiful looks and durability but it is not recommended for budgetary people as it is one of the expensive flooring options in this country. Moreover various types of wooden floors are available in Singapore market these days from which you can choose according to your choice and budget for decorating your condo unit. Solid hardwood floor: The wooden flooring of this type is made of wood planks derived from a single log of wood. Earlier wooden planks were used to provide structural support to the building in the form of wooden beams known as bearers in Singapore. 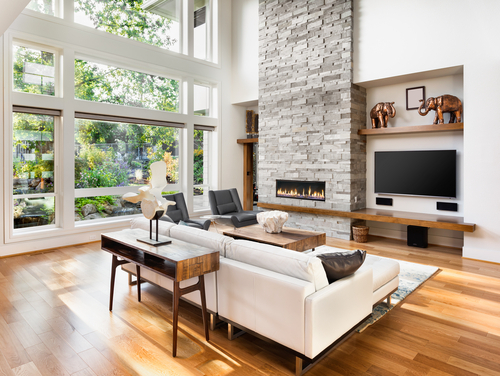 Most commonly used types of hardwood for this purpose include cherry, maple and oak etc. along various other exotic tees like Brazilian cherry and cork. All of these options were traditionally used for the distinct pattern of their grain. They are popularly used as flooring options for condo because they can be used roughly without damaging their looks. They can easily bear dents as they are natural products. Engineered hardwood floor: The wood floors of this type are made of planks including one or two layers. The visible and top layer of these planks is known as lamella which is pasted on another layer known as core. In order to increase the stability of this flooring its manufacturers run each layer of this flooring at ninety degree to its upper layer to put later on easily as a subfloor. You can reliably use it as a perfect and affordable alternative to the real hardwood flooring due to its excellent quality while installing it in your condo or apartment in Singapore. Thus it is one of the popular wood flooring options in Singapore as even budgetary people can afford it. Veneer wood flooring which is a composite wood product made of a thin piece of wood adhered on a core. Acrylic drenched wood floor which is made of wood that has been processed to be impregnated by acrylic material. While purchasing wood flooring for your condo you should consider all of its types available in the market. You should compare all of them as it is not easy to differentiate between them unless you personally experience them. Moreover you should hire professional installer for installing wood flooring as the planks are to be glued together perfectly without leaving even the slightest gap between them. They can give luxurious look to your condo if installed perfectly. Like laminate floor vinyl floors are also used in Singapore for decorating condos. They are made of aesthetically manufactured plastic material which has wood like patterns on its surface to give a wood like look to the floor. In this way after finding the best option for the flooring of you condo you can easily enhance its appearance by hiring a professional installer. You can find a number of professional floor installer sin Singapore who can help you in installing your condo floor perfectly. You can ask for free quotes after short listing some of the reputed floor installers. Before finalising any of these installers you should compare their reputation, quality of services and rates to find the best one. Some of the installers in Singapore also sell flooring of different types of materials to make it easy for the condo owners. You can buy the best flooring option within your budget after discussing their pros and cons with the installer. Thus you can improve the looks of your condo by choosing the best flooring material in Singapore according to your choice and budget.